You must be a member of the Munich Fashion, Arts & Style Group to attend this activity. Would you like to join this group? Let's see the work of Artist Alex Katz. 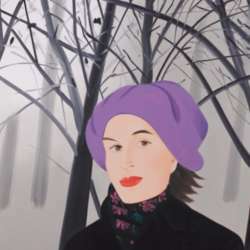 Alex Katz is a figurative artist known for his paintings, sculptures, and prints. Please sign up if you are sure that you can attend, and remember to sign off if your plans change.